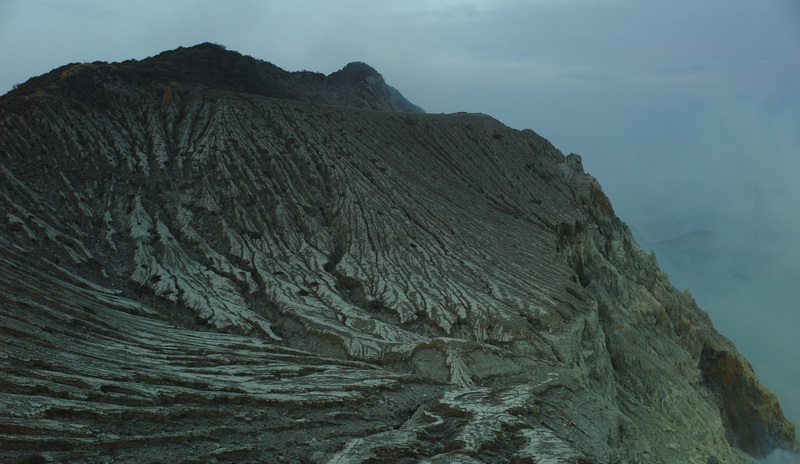 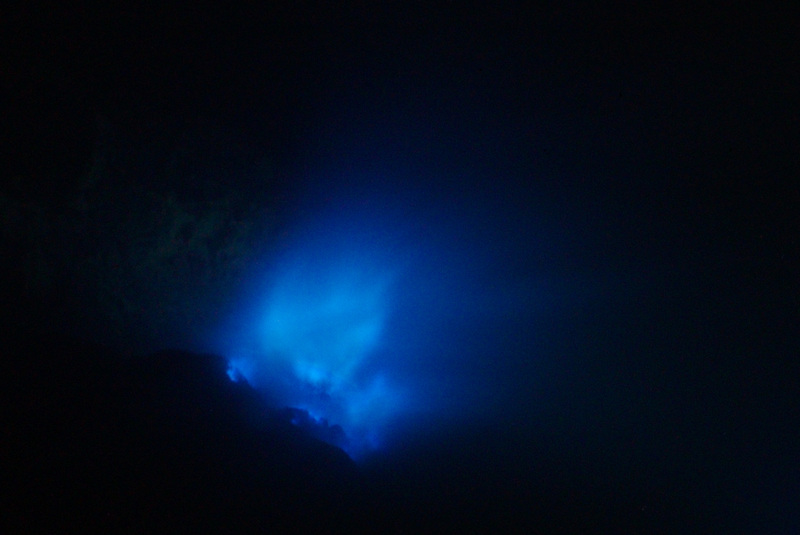 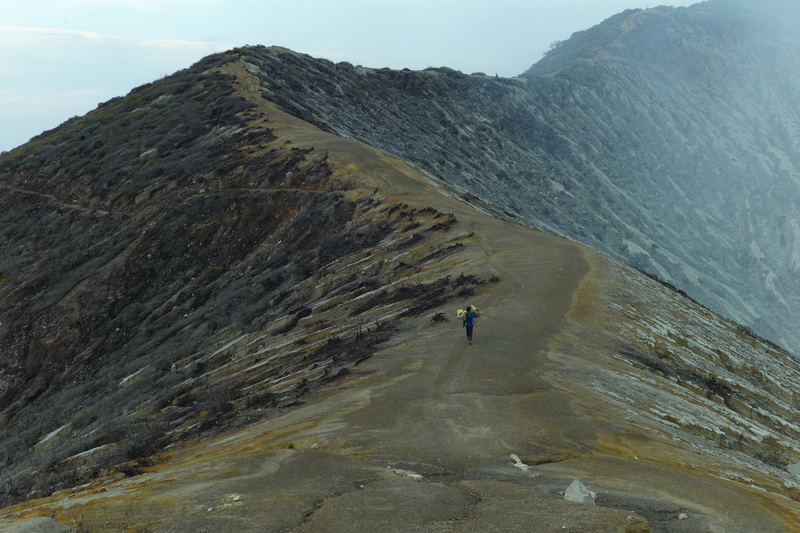 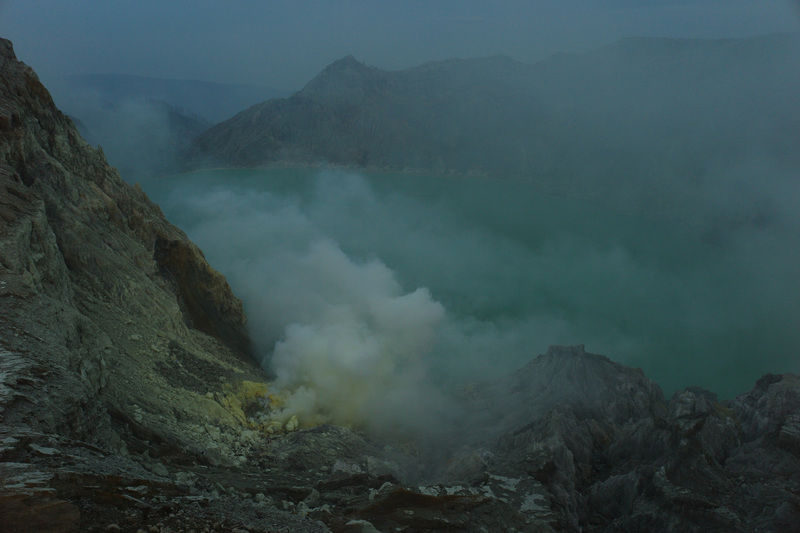 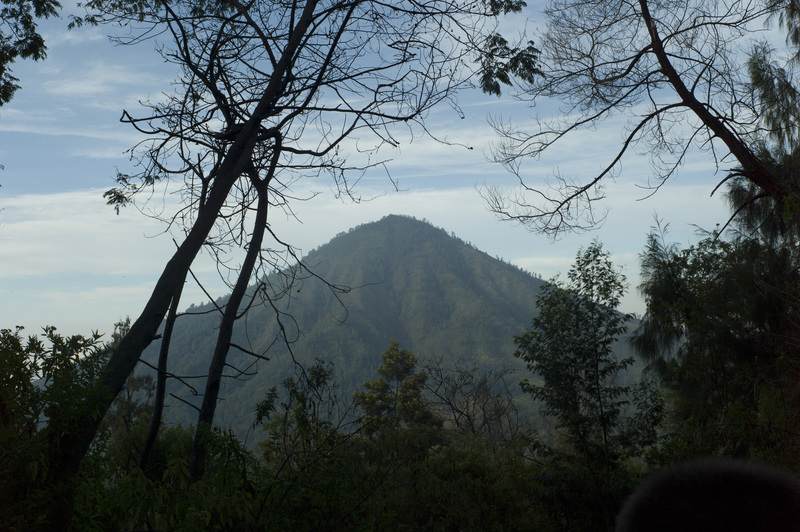 Blue, sulfur-fueled fire burns in the 8,660-foot Kawah Ijen volcano. 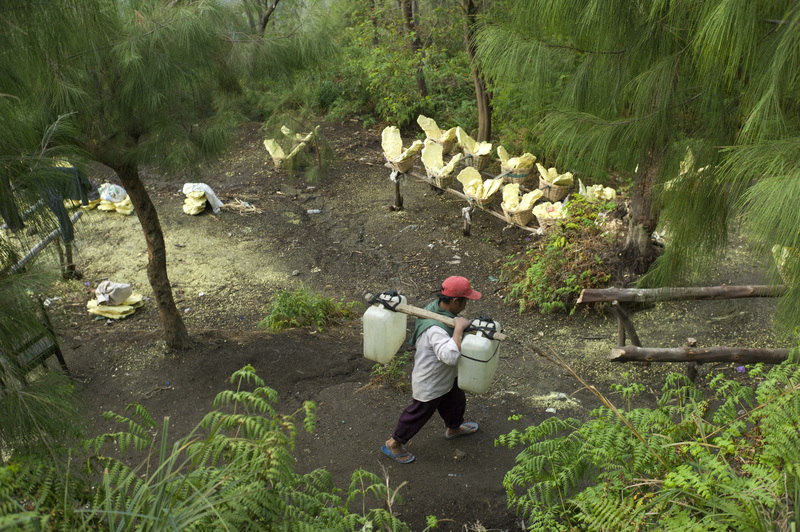 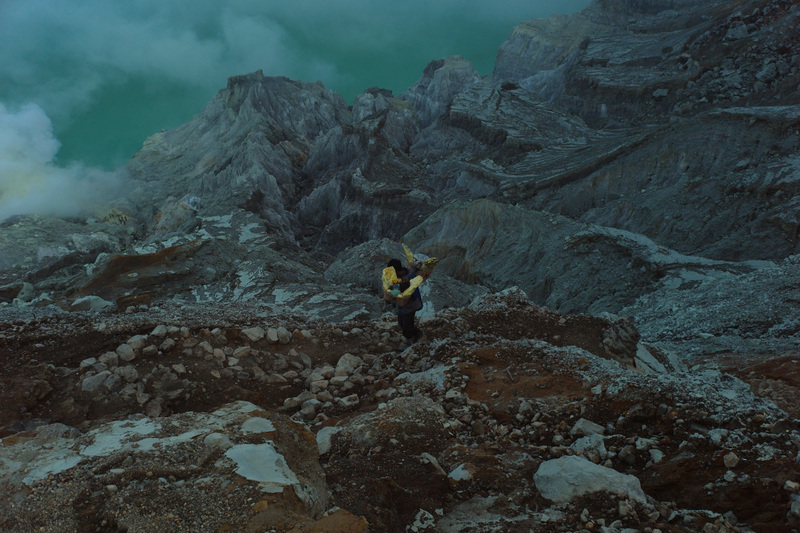 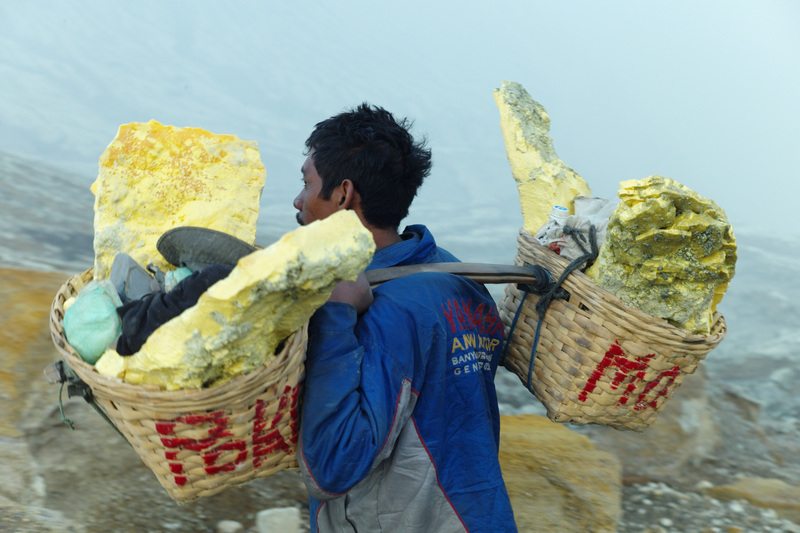 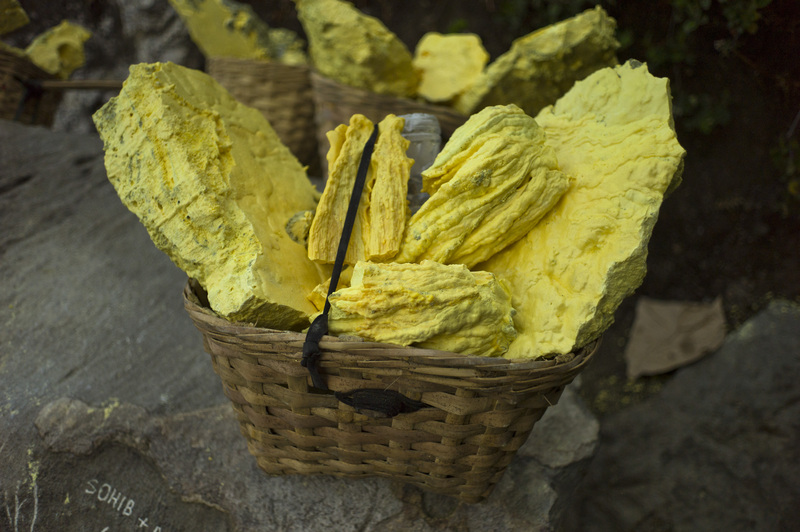 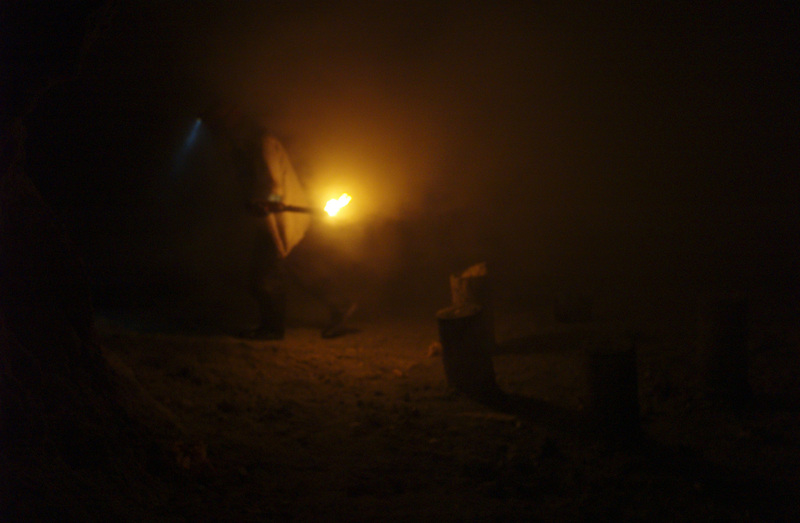 Miners toil in its hellish conditions as they literally pry raw sulfur from the active volcano’s 650-foot deep crater. 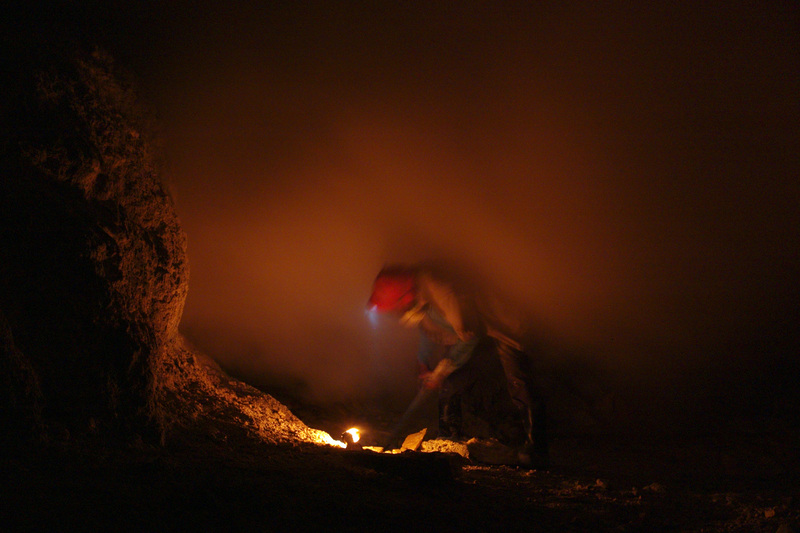 Despite the roiling liquid sulfur, acidic steam, and a boiling acid lake, the miners labor without protective equipment.